My background is highly rooted in hospitality. 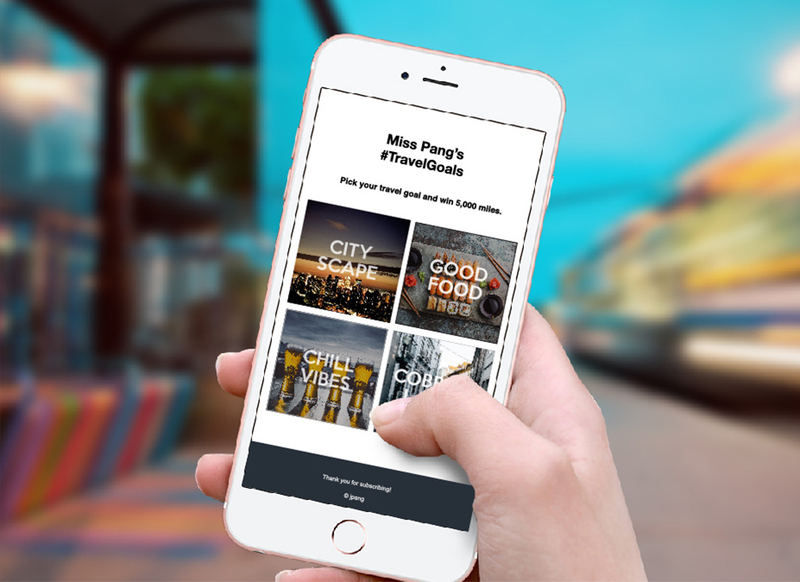 From the basics of addressing the guest by name to delivering that "wow" factor, it's what differentiates a highly personalized experience from an average one. But what makes it so effective? It's that fuzzy feeling when the barista knows your usual, and remembering your favourite drink and exactly how you like it made. Today the main challenge is to applying those principles to online experiences. Personalization is beyond retargeting. For example, when I search for a dress on Nordstrom, an algorithm will qualify me for a series of repetitive advertisements in hopes of conversion. It's effective for some but intrusive for others. I would argue that current efforts in ad retargeting does not represent personalization. In fact, it should be part of an overall user engagement strategy rather than a mere feature. The basics include addressing the user's name or generic demographic features. "Welcome back, Miss Pang. How was your trip, Miss Pang?". I can almost hear Siri’s warm, friendly tone (or at least I tried to replicate). Behaviour is very specific to your business and industry, and is typically measured in transactions count and milestones. In the case of travel, it is mostly driven by travel frequency, destination and transactional behaviour at particular touch points of the journey. Engagement-driven are features which you can introduce and store as new data points. 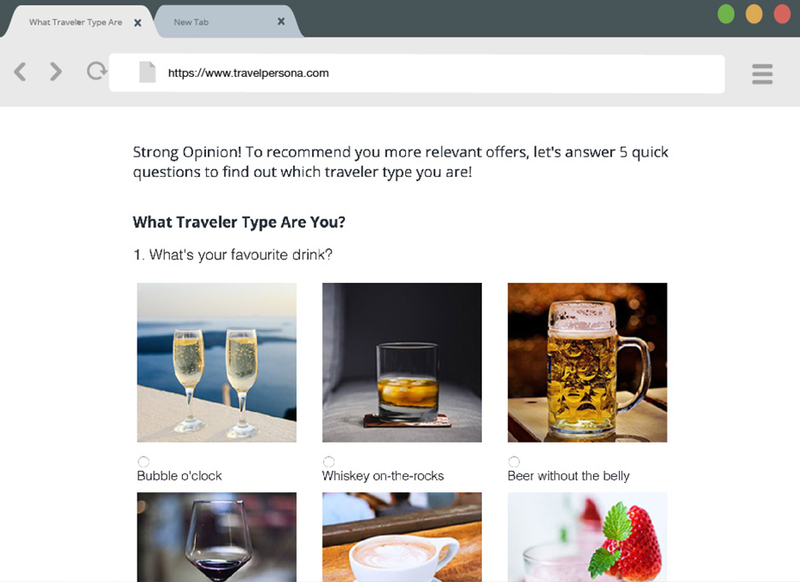 I’ve shed some light on this in Part 2 of this Data-Driven UX Design series where I launched an engagement survey where users discover their travel personas. The answers were later used as personalization features for the campaign. Finally, the language, tone and aesthetics/design are used to convey personalization for more complex campaigns. Personalization is all about targeting the Right User, at the Right Time with the Right Offer. The power lies in using them in the right context. In some cases, one personalization feature may resonate more with one user than another. But how is it determined? That’s where machine learning algorithms come into play - to rank the importance of each feature for every member. 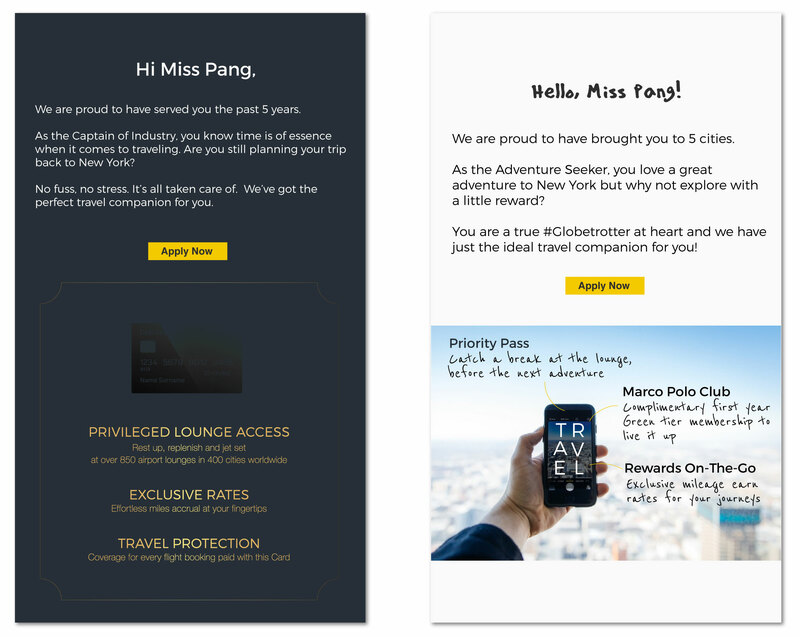 In a travel campaign I've done in the past, I was tasked to increase conversion based on users' past travel behavior. I worked with Data Scientsts to first determine the propensity of users to travel with us again this year and then create a few buckets of features to make it relevant for each user. 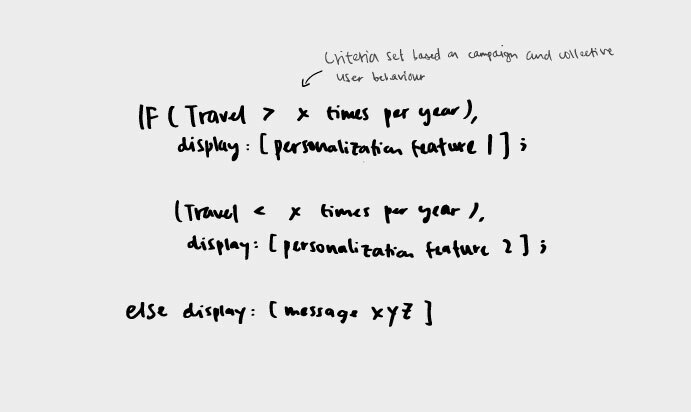 Designing personalization features are like constructing IF statements. 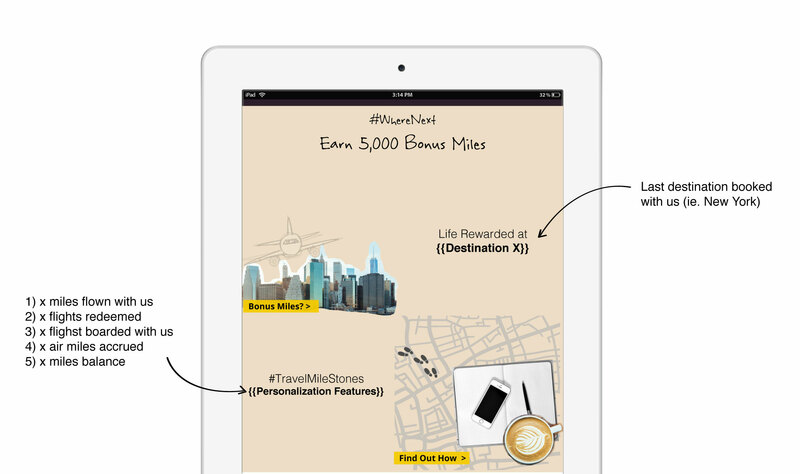 Referring to #WhereNext, the features were mainly based on the number of miles traveled and also served as a way to celebrate users' travel milestones. If you have flown over thousands of miles, you are likely to receive “x miles flown with us”. Alternatively, if you are a new joiner and have not accumulated enough transactions, you will likely receive “x miles balance”. Personalization is a really nice-to-have and often times unexpected touch. In this particular campaign, we acheived 30% open and 4% click. In the engagement survey mentioned earlier, I had users complete a just-for-fun survey to discover their travel personas. Based on the personas, I used dynamic tones and design in response to their distinct characteristics. For example, the design for the Captain persona conveys assertiveness vs playfulness for the Adventure Seeker persona. 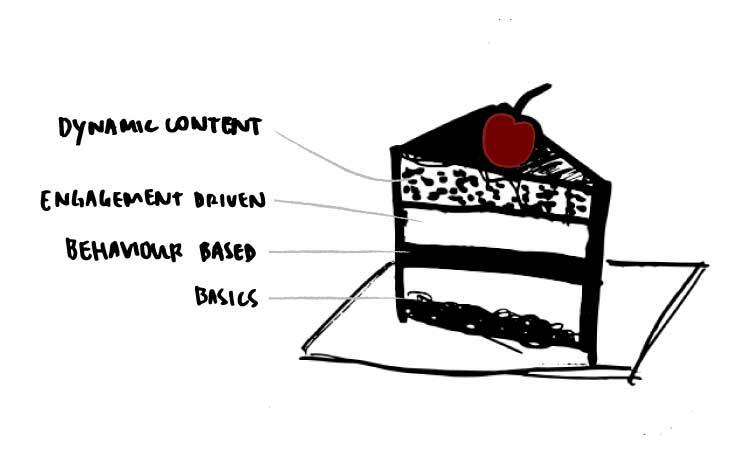 The idea here is to convey that understanding of the user and make it relatable through visual and written content. As you can see, personalization goes hand in hand with segmentation. There are just so many ways to slice and dice the base using qualitative and/or quantitative approaches. As we continue to shape online experiences, we should integrate personalization as the centerpiece of the design and strategy. Think about how game changers like FitBit, the wearable tech gadget, revolutionized the fitness game. Their use of personalization features such as your daily steps and weight loss goals are intricately designed as part of the user journey and its micro interactions. So yes, personalization is beyond retargeting. It's about how you build that multi-layered cake.